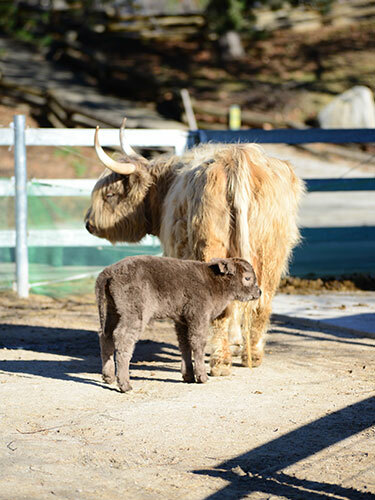 The Milwaukee County Zoo is happy to welcome Keira, a Scottish Highland calf, to its collection on the Family Farm. 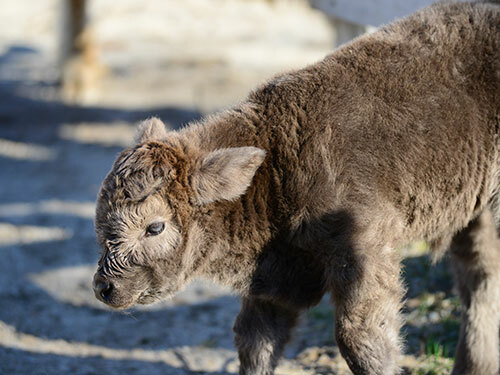 Keira was born on exhibit March 12 to mother Trinity. 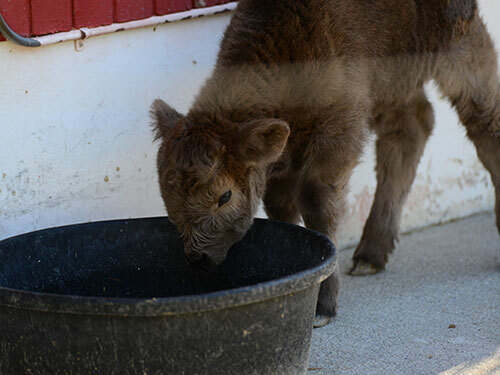 Trinity arrived at the Zoo last August, and it was later determined that she was expecting a calf. Keira, meaning “little dark-haired girl,” weighed 65 pounds at birth and could reach up to 1,100 pounds as an adult. She is currently nursing from Trinity and will start eating hay very soon. Scottish Highlands are a heritage breed, meaning they are among the oldest breeds of cattle. They were imported to North America in the 1880s. Scottish Highlands are known for being particularly winter-hardy. They are able to tolerate the cold Wisconsin climate and can sometimes be seen on exhibit covered in the falling snow. Scottish Highlands are considered “recovering” on the Livestock Conservancy’s Conservation Priority List, meaning their population is stable. 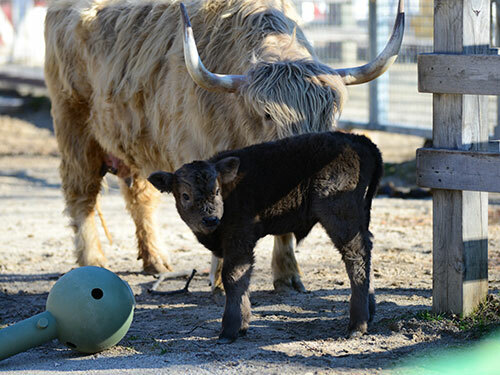 Keira is the fourth Scottish Highland Calf born at the Zoo since 2000. 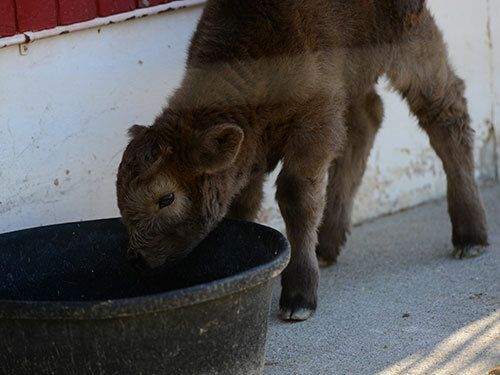 She can currently be seen on exhibit in the Northwestern Mutual Family Farm.